Daisy and I are off to Malibu tonight! Well, not Daisy, exactly, but one of the photos that she so graciously and happily modeled for in the 8 years she was with me. We’re headed to an event to benefit Meade Canine Rescue, and Daisy’s photo is part of the evening’s auction. Meade is a nonprofit rescue established with the goal of saving dogs (and the occasional cat) who for various reasons end up in local municipal pounds and would otherwise be euthanized. For those that don’t know, Daisy was dumped at a shelter when she was 5 with orders to be killed. 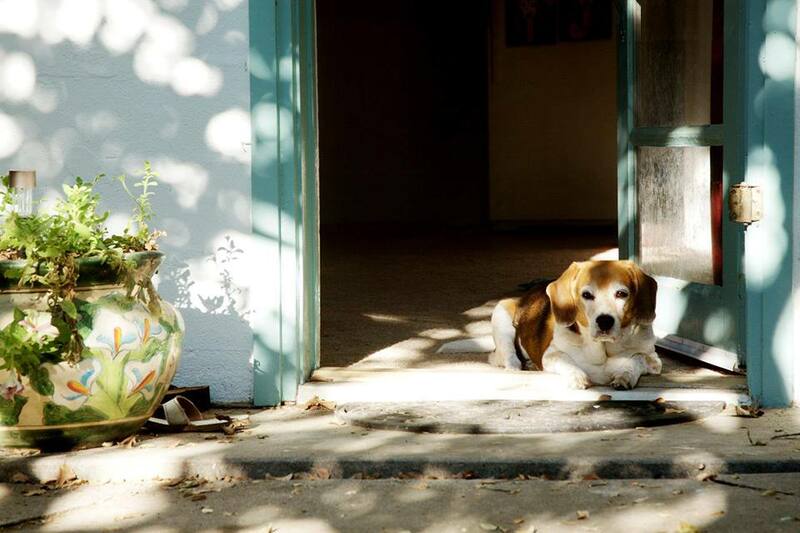 She was 85 massive pounds of Beagle and suffered arthritis, major separation anxiety, and a severe case of sweet cuteness. Her true nature was adventurous, loving, full of energy, fun, and wisdom ~ yet her owner didn’t think she deserved to live. Daisy never saw her weight as a problem, though I did, the first time I caught her rocking back and forth to get the momentum to heave herself up on the couch. 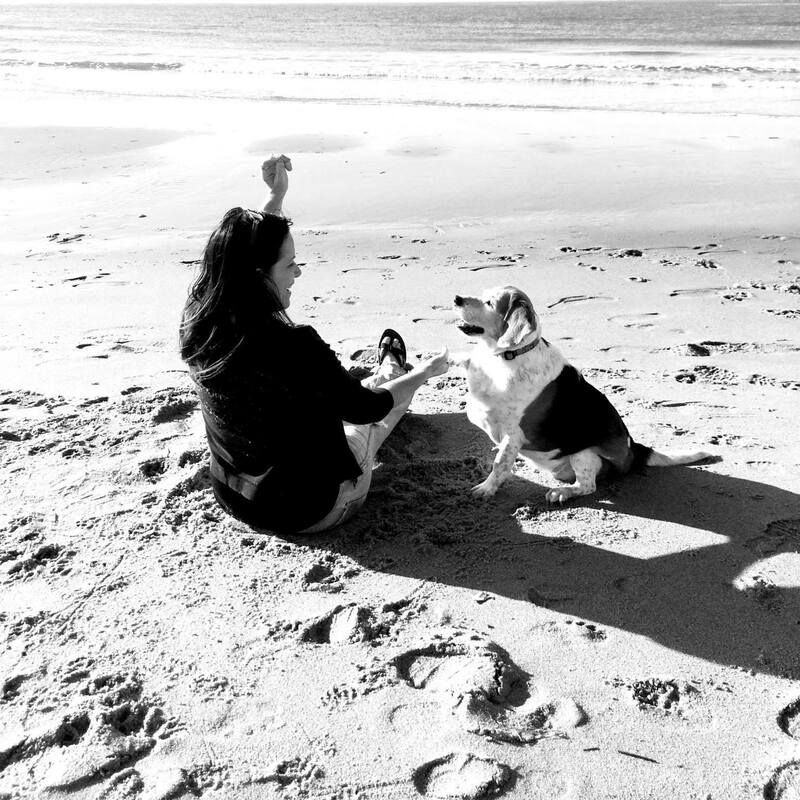 Eventually, with walks and a good diet, she lost 35 pounds, stopped arthritis meds, and played and ran on the beach. She was the face of pure optimism, and knee surgery, going deaf, and even bladder cancer couldn’t slow her down. Through it all, she remained the insanely, stupendously joyous dog that I had come to love. Three months after her cancer diagnosis, April 20, 2015, the cancer began to shut down her body and I had to let her go. She was 13 years old, a senior girl, still very full of life, and though she was no longer a puppy, not once did I consider giving up on her, or giving her up. But sadly, there are many people like her former owner who dump their senior dogs when they need love the most. These old dogs are often brought to high kill shelters and left there, scared and confused as they watch their owners walk away. Meade Canine works to save these dogs and give them a new life, and I urge you to learn more about this wonderful organization either through the link above or their Facebook page. Tonight’s event is hosted by Chiquita’s Friends, a nonprofit organization dedicated to rescuing dogs from death row. Thanks to my mom, a copy of this photo also proudly hangs in the halls of Sentara Martha Jefferson Hospital in Charlottesville, VA. Previous Post Never Stop Smiling! Next Post Cant You Love Me? Karal you are a peach. A peach of a dog owner and a peach of a photographer. I’m thrilled Daisy is hanging there where people may not be feeling too peachy can get cheered by her wonderful photo and energy/spirit. Sending you hugs. You have such a good heart, Karal. These dogs are tremendously lucky to find their way into your life. Thank you, Debbie ~ I think I’m the lucky one, having these little souls share their lives with me.